ID: Antenna bipectinate in male, ciliate in female; labial palps very short; eyes glabrous. 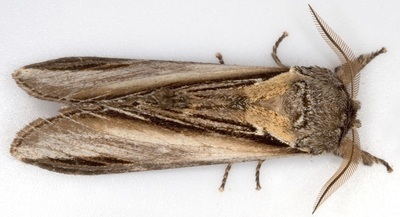 Very similar to P.gnoma (Lesser Swallow Prominent). These two can be distinguished by a narrow white wedge that extends along the dorsum from the tornus. 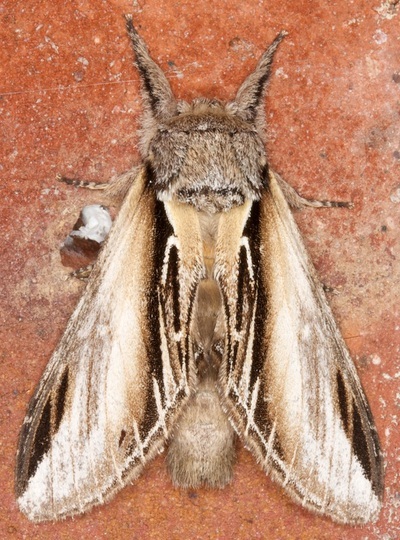 In P.gnoma this wedge is distinct and short, extending less than halfway to wing-base; in P.tremula it is less distinct and longer, extending at least halfway to wing base. In the hindwing both species show a dark brown tornal spot: in P.tremula this spot is small and intersected by a white marginal line; in P.gnoma it is diffuse and not intersected.